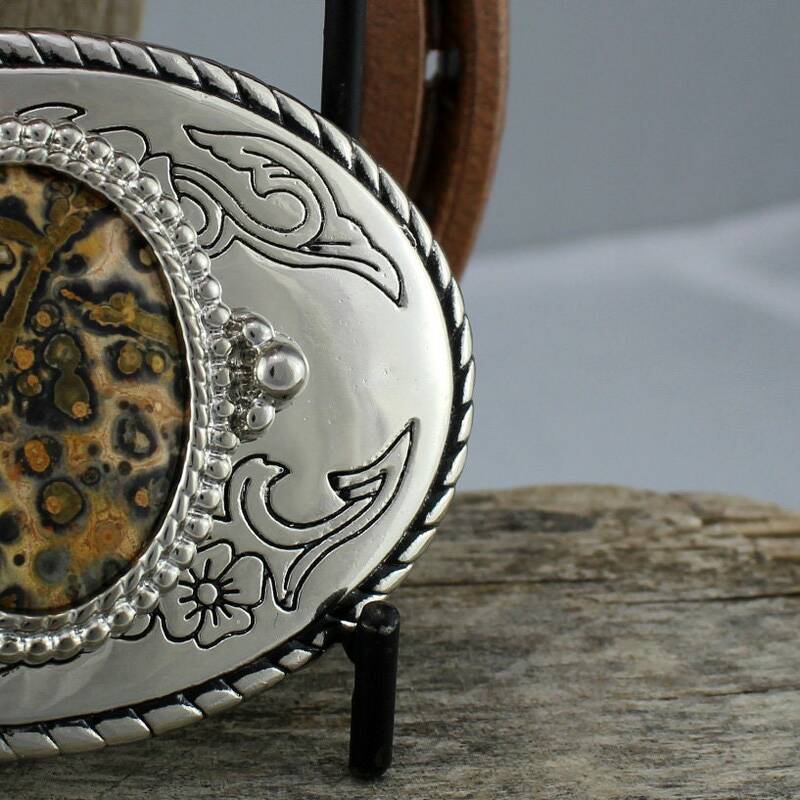 Western Belt Buckle - Natural Stone Belt Buckle -Cowboy Belt Buckle: This gorgeous silver tone & black western belt buckle features a Leopard Skin Jasper Stone. 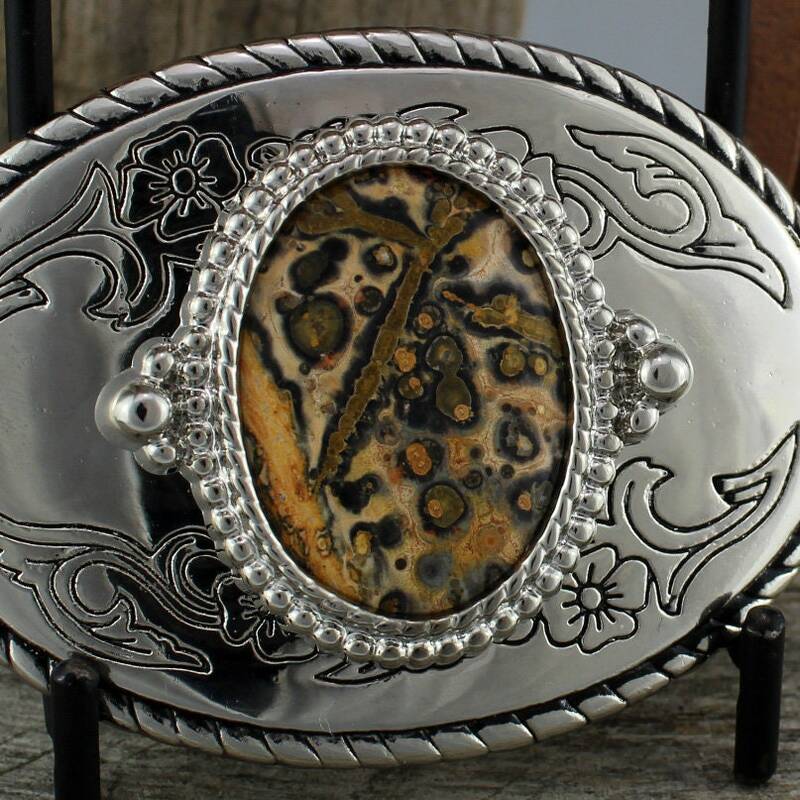 The Leopard Skin Jasper is 40mm x 30mm (1 1/2" x 1 1/4") and is mounted vertically. 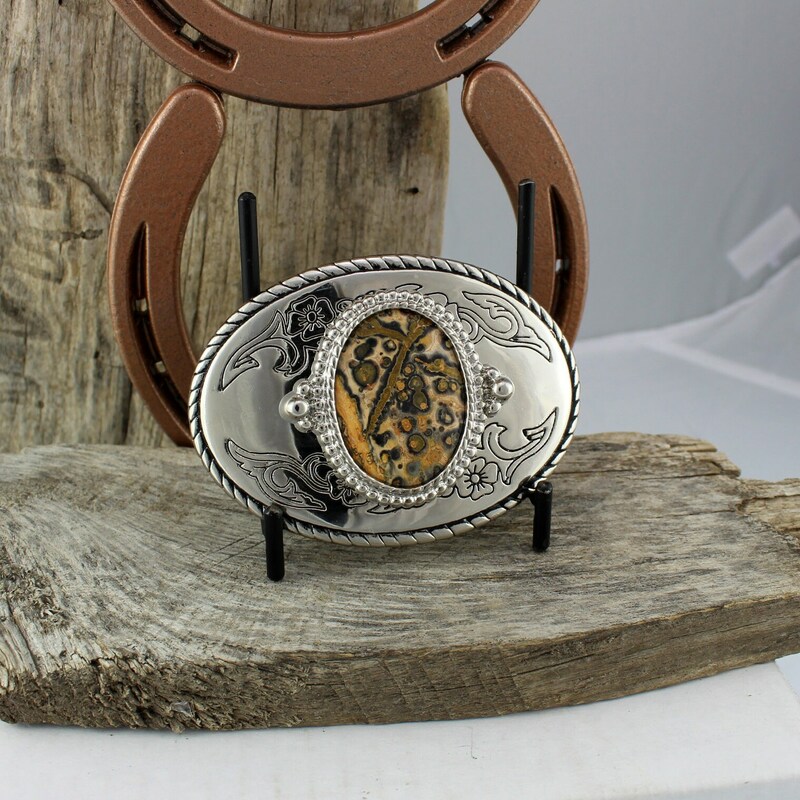 The buckle is 3 3/8" x 2 1/4" and will accommodate a belt that is up to 1 3/4" wide. 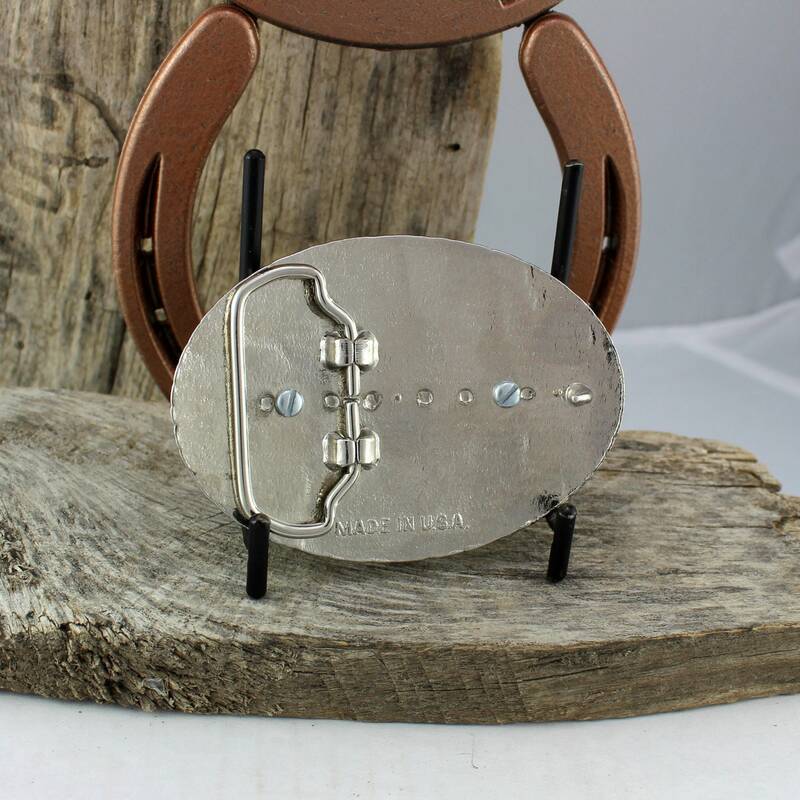 The belt buckle blank is made in the USA and purchased from our suppliers to hold our hand-crafted stones. 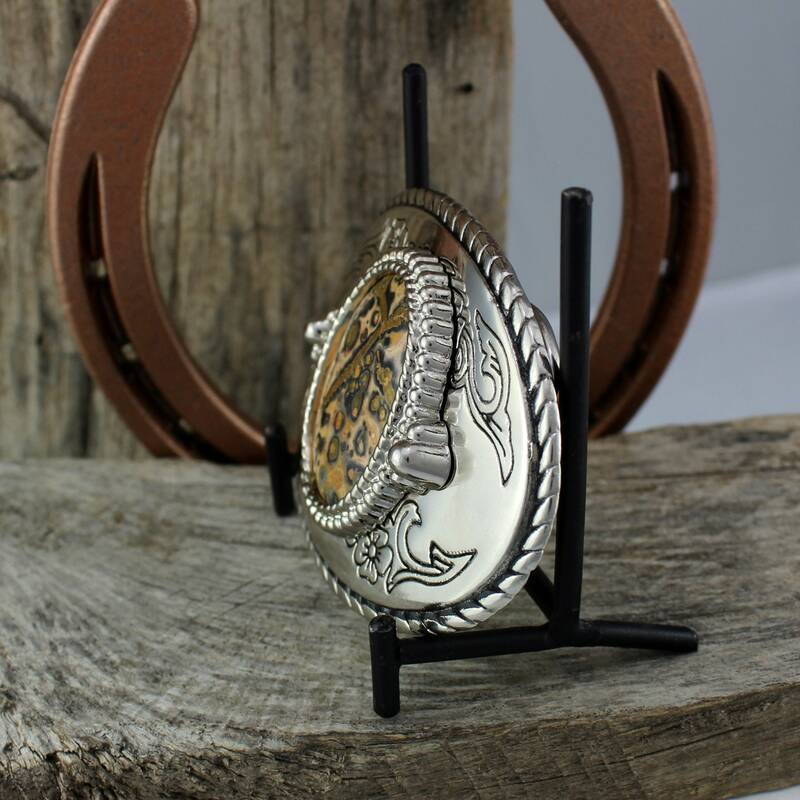 The Leopard Skin Jasper stone comes from Mexico and was shaped, polished, and mounted, by hand in our workshop in Montana. This stone has a fabulous pattern and colors! 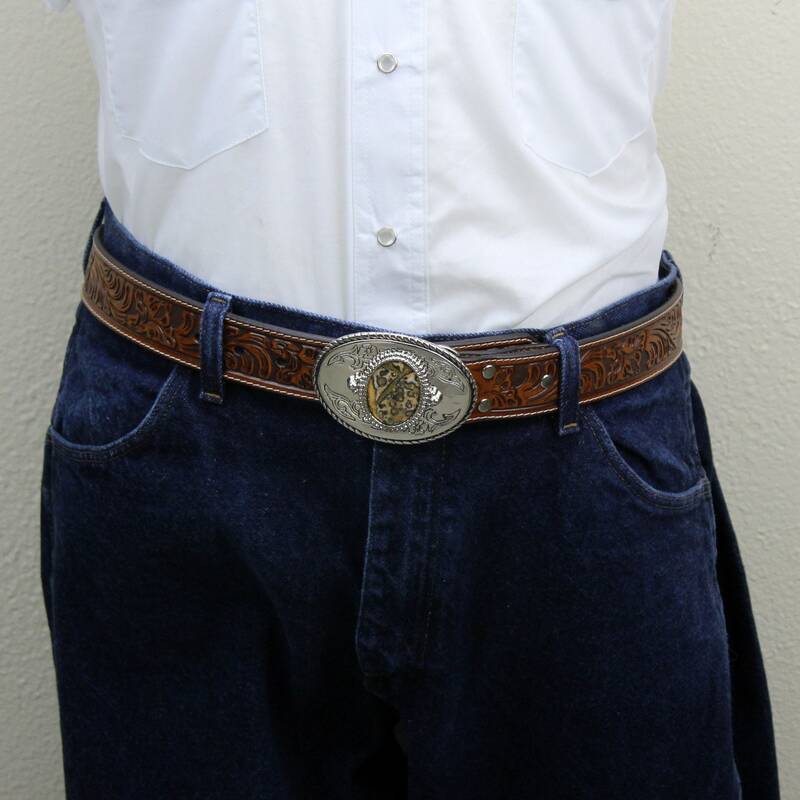 It really pops in the silver tone belt buckle! 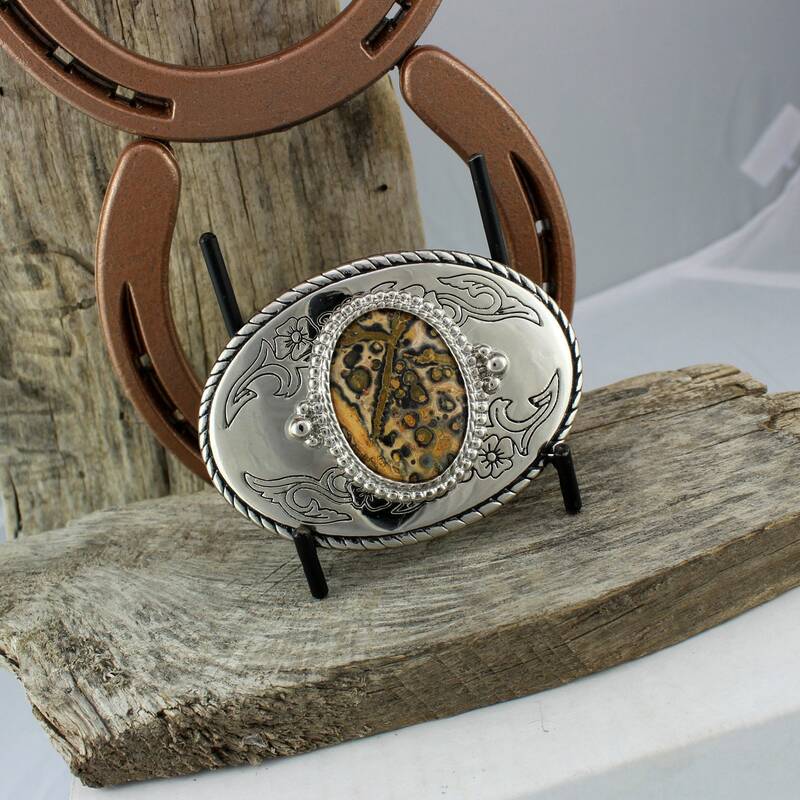 The stone makes this a very special, one of a kind, buckle that you can wear with pride! 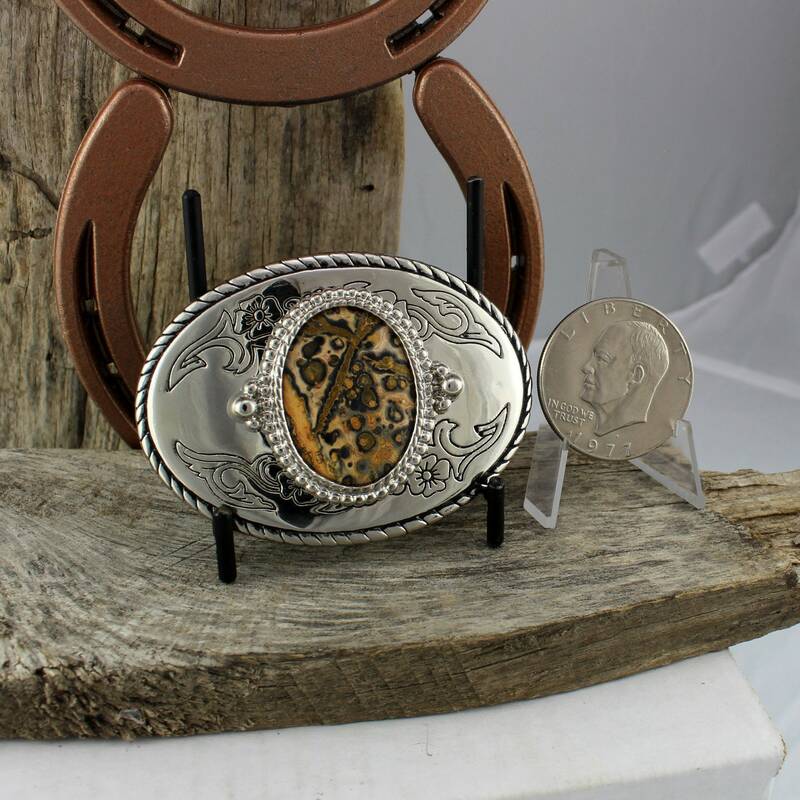 As with all our belt buckles, we will ship this buckle in an elegant gift box for no extra charge!